If you are having any one or a combination of any of the following, you should definitely seek the help of an International Board Certified Lactation Consultant (IBCLC) or your healthcare provider. Having any one of the issues below is nothing to be ashamed of; it’s a reality for many breastfeeding mothers. How do I know if I need the help of an IBCLC? 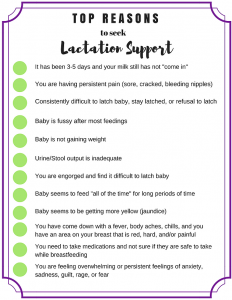 The Top 12 Reasons to seek Lactation Support are listed below: Above are just 12 of the most common reasons to seek the help of a Lactation Consultant (IBCLC), but they are not the only reasons. Breastfeeding is natural, but does not always come easily. 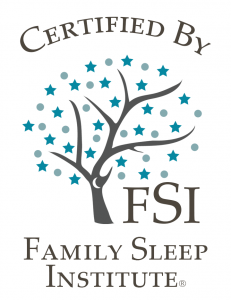 Getting help early on is the best way to have a successful breastfeeding relationship. 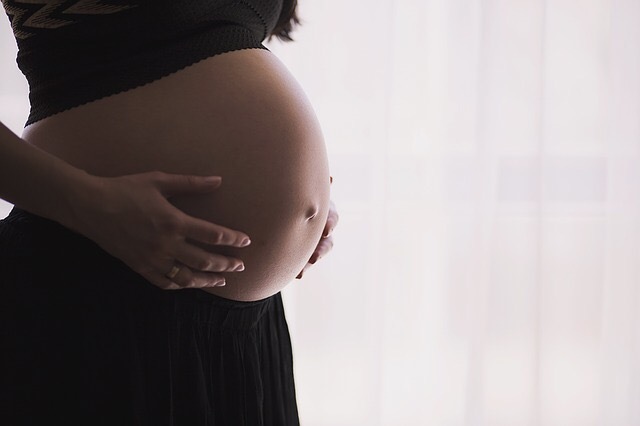 Trust in yourself and your mommy instincts, and if something just doesn’t seem right, seek help from an IBCLC or your healthcare provider.